18 Do you think I have been unfair to Eddaido? 37 A barnstar for you! 63 A barnstar for you! Category:2008_All-Star_Game_Statues_on_Parade has been listed at Commons:Categories for discussion so that the community can discuss ways in which it should be changed. We would appreciate it if you could go to voice your opinion about this at Commons:Categories for discussion/2015/02/Category:2008_All-Star_Game_Statues_on_Parade. Category:Canon_EOS_5Ds_R has been listed at Commons:Categories for discussion so that the community can discuss ways in which it should be changed. We would appreciate it if you could go to voice your opinion about this at Commons:Categories for discussion/2015/03/Category:Canon_EOS_5Ds_R. Category:Canon_EOS_5Ds has been listed at Commons:Categories for discussion so that the community can discuss ways in which it should be changed. We would appreciate it if you could go to voice your opinion about this at Commons:Categories for discussion/2015/03/Category:Canon_EOS_5Ds. ¿Por qué quitas esta categoría? Category:Maps of racing circuits in Argentina. Why did you remove this category? Category: Maps of racing circuits in Argentina. Mobile phones by brand has been listed at Commons:Categories for discussion so that the community can discuss ways in which it should be changed. We would appreciate it if you could go to voice your opinion about this at Commons:Categories for discussion/2015/03/Category:Mobile_phones_by_brand. You're right. But the Wikimedia Commons have a policy to use the term "automobile" instead of "car" for the categories' names to keep consistency. >Do you know where the discussion about this took place, please? I was wondering if your images were available for sub-licensing, and if so what attribution would you require. Congratulations! 2010 Malaysian GP opening lap.jpg, which was produced by you, was reviewed and has now been promoted to Quality Image status. Congratulations! Mikhail Grachev 2015 TCR Int Malaysia.jpg, which was produced by you, was reviewed and has now been promoted to Quality Image status. Congratulations! Rene Munnich 2015 TCR Int Malaysia.jpg, which was produced by you, was reviewed and has now been promoted to Quality Image status. Congratulations! Igor Skuz 2015 TCR Int Malaysia.jpg, which was produced by you, was reviewed and has now been promoted to Quality Image status. Congratulations! 2015 Malaysian GP opening lap.jpg, which was produced by you, was reviewed and has now been promoted to Quality Image status. Congratulations! Safety Car side 2015 Malaysia.jpg, which was produced by you, was reviewed and has now been promoted to Quality Image status. Congratulations! Michael Schumacher 2010 Malaysia 2nd Free Practice.jpg, which was produced by you, was reviewed and has now been promoted to Quality Image status. Congratulations! Fernando Alonso 2010 Malaysia 2nd Free Practice.jpg, which was produced by you, was reviewed and has now been promoted to Quality Image status. Congratulations! Rubens Barrichello 2010 Malaysia 1st Free Practice.jpg, which was produced by you, was reviewed and has now been promoted to Quality Image status. Congratulations! Toshiarai wtcc.JPG, which was produced by you, was reviewed and has now been promoted to Quality Image status. Congratulations! Porshe919hybrid 20141012.JPG, which was produced by you, was reviewed and has now been promoted to Quality Image status. Congratulations! JoseMaríaLopez wtcc20141025.JPG, which was produced by you, was reviewed and has now been promoted to Quality Image status. Congratulations! Jules Bianchi 2014 Singapore FP3.jpg, which was produced by you, was reviewed and has now been promoted to Quality Image status. Congratulations! Jules Bianchi 2014 Singapore FP1.jpg, which was produced by you, was reviewed and has now been promoted to Quality Image status. File:Auto Union Typ D.jpg has been listed at Commons:Deletion requests so that the community can discuss whether it should be kept or not. We would appreciate it if you could go to voice your opinion about this at its entry. Do you think I have been unfair to Eddaido? I have recently had a disagreement with Eddaido regarding categorization on Commons, specifically the relationship of Category:Alvis 12/75 in the ZeitHaus to Category:Alvis 12/75. From my perspective, the matter in dispute appears to be a simple case of properly applying the Commons:OVERCAT policy. Because of your experience regarding automobile-related categorization, I greatly value your perspective and (in this situation) your neutrality. In your opinion, do you think that I have either been unfair to Eddaido in this discussion or am in the wrong regarding my interpretation of Commons policy? Thanks so much for considering my request. All the best! Congratulations! Stefano Comini 2015 TCR Int Malaysia.jpg, which was produced by you, was reviewed and has now been promoted to Quality Image status. Congratulations! Lorenzo Veglia 2015 TCR Int Malaysia.jpg, which was produced by you, was reviewed and has now been promoted to Quality Image status. Commons:Deletion requests/Category:Tall ships by type has been listed at Commons:Deletion requests so that the community can discuss whether it should be kept or not. We would appreciate it if you could go to voice your opinion about this at its entry. Air disasters by year has been listed at Commons:Categories for discussion so that the community can discuss ways in which it should be changed. We would appreciate it if you could go to voice your opinion about this at Commons:Categories for discussion/2015/12/Category:Air_disasters_by_year. Category:2007_Raliul_Clujului has been listed at Commons:Categories for discussion so that the community can discuss ways in which it should be changed. We would appreciate it if you could go to voice your opinion about this at Commons:Categories for discussion/2016/05/Category:2007_Raliul_Clujului. And your other plans are? ". This way the dates will be translated internally into the user's language preference. See for example the result in English: here. Thanks again. Photographs of men of Japan by name has been listed at Commons:Categories for discussion so that the community can discuss ways in which it should be changed. We would appreciate it if you could go to voice your opinion about this at Commons:Categories for discussion/2016/10/Category:Photographs_of_men_of_Japan_by_name. Tom Hanks by year has been listed at Commons:Categories for discussion so that the community can discuss ways in which it should be changed. We would appreciate it if you could go to voice your opinion about this at Commons:Categories for discussion/2016/11/Category:Tom_Hanks_by_year. Switzerland by day has been listed at Commons:Categories for discussion so that the community can discuss ways in which it should be changed. We would appreciate it if you could go to voice your opinion about this at Commons:Categories for discussion/2016/12/Category:Switzerland_by_day. Days by day has been listed at Commons:Categories for discussion so that the community can discuss ways in which it should be changed. We would appreciate it if you could go to voice your opinion about this at Commons:Categories for discussion/2016/12/Category:Days_by_day. 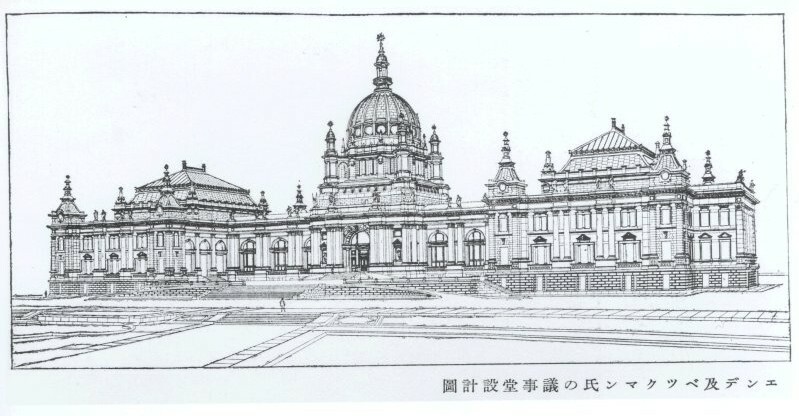 Category:National Diet Building (1890) without de:Ludwig Richard Seel. Taken with Canon EOS 7D and Canon EF 100-400mm F4.5-5.6L IS USM has been listed at Commons:Categories for discussion so that the community can discuss ways in which it should be changed. We would appreciate it if you could go to voice your opinion about this at Commons:Categories for discussion/2017/02/Category:Taken_with_Canon_EOS_7D_and_Canon_EF_100-400mm_F4.5-5.6L_IS_USM. Category:DJI_radio_controlled_model_quadrotors has been listed at Commons:Categories for discussion so that the community can discuss ways in which it should be changed. We would appreciate it if you could go to voice your opinion about this at Commons:Categories for discussion/2017/04/Category:DJI_radio_controlled_model_quadrotors. I wish to use your photo: 2010_Malaysian_GP_opening_lap in wikicommon for my country textbook. I understand this photo is under Creative Commons Attribution-Share Alike 3.0 Unported, therefore, I wish to ask for your goodwill to let me use this photo in the book for academic purpose. I shall credits you in the Acknowledgement page. It will be very kind of you if you can grant me permission and drop me an email. Thank you very much. Event venues by city has been listed at Commons:Categories for discussion so that the community can discuss ways in which it should be changed. We would appreciate it if you could go to voice your opinion about this at Commons:Categories for discussion/2017/07/Category:Event_venues_by_city. I'm writing you as one of the most active Commons users right now. Since a while now, the idea of a dedicated Commons conference has been floating around, but since the last Wikimania concrete steps have been taken to actually make it happen next year. If you're interested in participation or maybe willing to help organize the first ever Commons Conference, I invite you to check out the project page and leave your comments; or just show your support for the idea, by signing up. File:Williams FW15C rear wing Donington Grand Prix Collection.jpg has been listed at Commons:Deletion requests so that the community can discuss whether it should be kept or not. We would appreciate it if you could go to voice your opinion about this at its entry. Statues of Peace by Kim Un-seong and Kim Seo-gyeong has been listed at Commons:Categories for discussion so that the community can discuss ways in which it should be changed. We would appreciate it if you could go to voice your opinion about this at Commons:Categories for discussion/2017/11/Category:Statues_of_Peace_by_Kim_Un-seong_and_Kim_Seo-gyeong. Things named after Avalon has been listed at Commons:Categories for discussion so that the community can discuss ways in which it should be changed. We would appreciate it if you could go to voice your opinion about this at Commons:Categories for discussion/2018/01/Category:Things_named_after_Avalon. @Kierzek Thanks for your comment again. As you mentioned, the categories are already created. Your comment have a point and the tanks are (more) often called "Kō" and "Otsu" for separately, however, the current category names are based on the Imperial Japanese Army's tank code names and it is to keep consistency with other IJA tank categories' names. Therefore, I think it is better to keep current category names, although both, old and new, are correct. 1:18 scale models of automobiles has been listed at Commons:Categories for discussion so that the community can discuss ways in which it should be changed. We would appreciate it if you could go to voice your opinion about this at Commons:Categories for discussion/2018/05/Category:1:18_scale_models_of_automobiles. Vehicles of heads of state has been listed at Commons:Categories for discussion so that the community can discuss ways in which it should be changed. We would appreciate it if you could go to voice your opinion about this at Commons:Categories for discussion/2018/06/Category:Vehicles of heads of state. I got one important question for you: can I please use your Formula 1 pictures for YouTube videos? I LOVE the F1-sport and I would like to make videos about the history, future and the present of the F1. The videos would be like some small, history documentations. I will off course give you credit after the CC-BY license (attribution with name and all links) but I can NOT put the entire videos under the CC-BY-SA license, because I am also using other material like music and animations in the videos. So I just could use your pictures under the CC-BY license. I would be so happy, if you could say it is okay, to use your pictures in the videos just under CC BY 2.0, 3.0 or 4.0 license without the SA (share alike) license. If you want, you can also give me your E-Mail and we can discuss over mail. >can I please use your Formula 1 pictures for YouTube videos? C19 (left) and C20 (right) in Hangar-7, which I took last year. Customized aircraft has been listed at Commons:Categories for discussion so that the community can discuss ways in which it should be changed. We would appreciate it if you could go to voice your opinion about this at Commons:Categories for discussion/2019/01/Category:Customized_aircraft. This page was last edited on 3 January 2019, at 18:10.